Tuvalu's Sea Level Changes - New! Coral Atolls and Sea Level Change -New! ﻿Impact of the El Nino Southern Oscillation on the Coastal Regions of the Eastern Pacific - New! 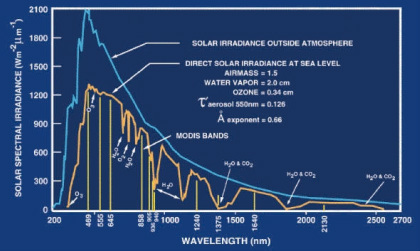 Solar Radiation and the Structure of the Earth's Atmosphere - New! Dr Patrick Moore (Founder of Greenpeace) - Should We Celebrate CO2? Ice Core Science and Fluctuating Temperatures - New! Quantum Physics to Explain Atmospheric Processes ?